When submitting films to festivals, there are forms to fill in. Forms and forms. Title this, subtitle that, download this, upload that. Any kind of form is a bit of a nightmare to be honest but it’s obviously important to get it right. You have to cut through the noise. The form ultimately has to represent you and your film. It is your elevator pitch. Summarise your film in just a few words… No pressure. 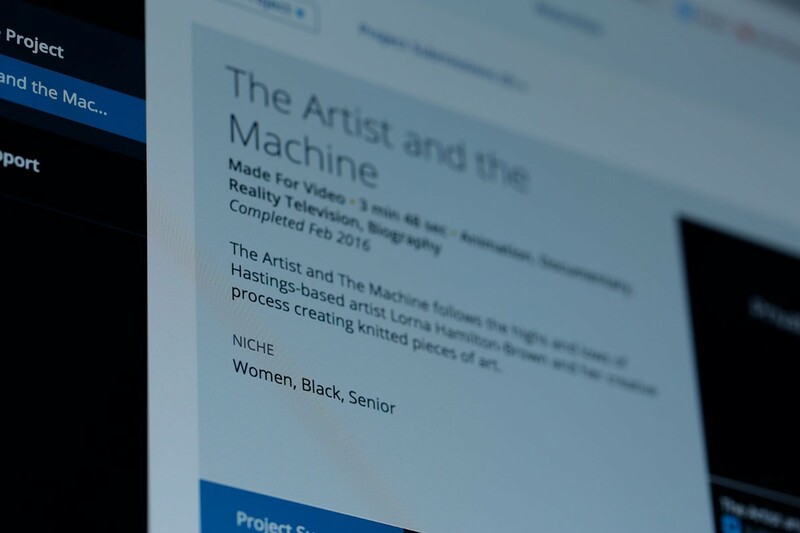 Below the title and subline of our film, the website wrote “Niche: Women, Black, Senior”. Talk about ticking boxes! It surprised me because none of these categories were things that had crossed my mind when we were making the film, certainly not as ‘niches’. It felt bizarre to me, but it reminded me of something we spoke about during the production of the film. There is a moment from our interview with Lorna, that we debated for a long time whether to include it in the final edit. We spent several days with artist Lorna Hamilton-Brown following her around Hastings where she lives and works. She is a feisty artist, like all good artists are, but with a playful generosity that makes her a brilliant subject. She invited us into her life, like she does with everyone, we lost count of how many friends of hers we bumped into during filming! We were very happy with the final film and it did well at film festivals, screening at the prestigious BAFTA qualifying Aesthetica Short Film Festival in York and even getting a US premiere at Bend Film Festival in Oregon. But there is a moment in the interview with Lorna that we shot that I still question if we should have included in the final edit. Lorna spoke about her struggle as an artist facing stigmas and stereotypes, and how some comments made to her stuck so deeply that they still inspire her today. She said that when she first declared she wanted to be an artist she was told by a friend at the time she couldn’t: 1) because she’s black and 2) because she’s a woman. This is something I heard her say a few times before but it was particularly cutting when we captured it on camera. Lorna spoke so eloquently and with such affirmation and conviction that it was clear this was a magic moment in the interview. But this clip didn’t make the edit. In the end, after long discussion with the team (all three of us white males), we decided that the whole point of this film was to show Lorna as an artist. That we had chosen to work with her because of her character and her work, not because she was black or a woman. We felt the film resonated with an audience because of her creative struggle, and the moments of self doubts and loneliness as an artist were emotive enough moments to give the film gravitas. 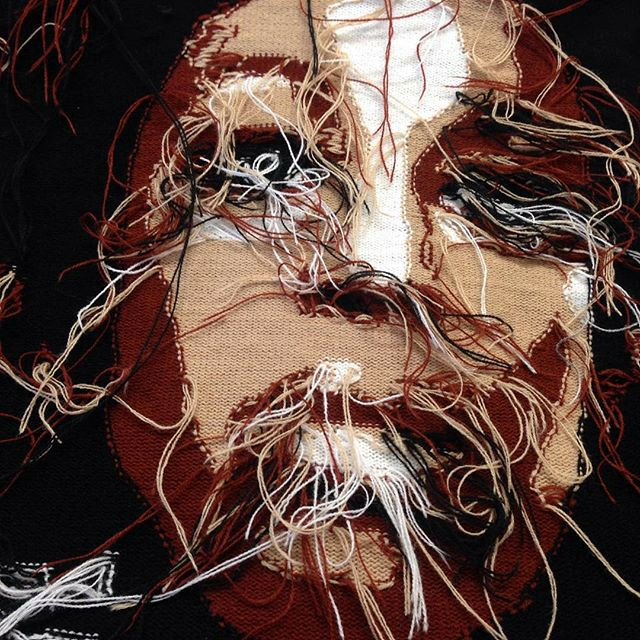 Reverse of Lorna’s knitted portraits for the Royal Opera House. 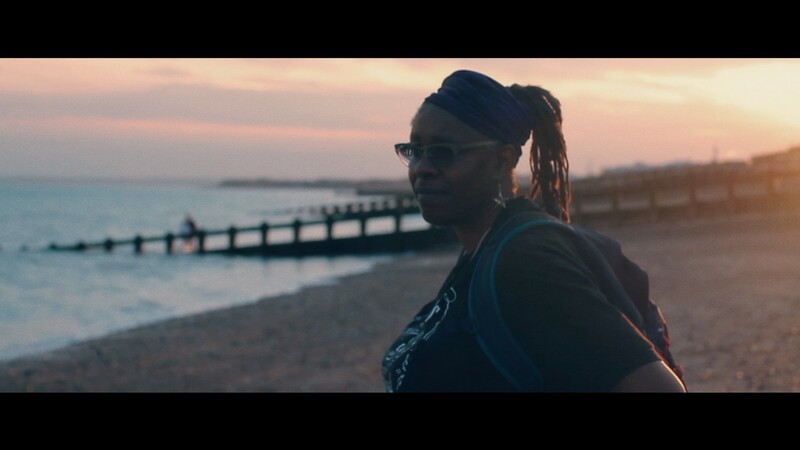 Ultimately once the footage was captured and in the edit suite with me, it was no longer just Lorna’s voice, I was aware it was being authored and curated by myself and every cut was a reflection of my voice and not just hers. I was conscious that choosing to use a clip that spoke so boldly about race and gender immediately made the film pertinent in a specific direction. But it’s Lorna’s words and she said it naturally, so why shouldn’t we use it? There is no right or wrong answer, and I still question the decision today, hence why I am writing about it now. But at the time it felt as though if we want strive for equality we should treat the work equally. You see Lorna in the film, she is black, she is a woman, but that is not an adequate summary of her as a person. We felt it was her personality and work that was unique to her more than anything. Having said that you could argue that the context to her personality and work is her race and gender. She is brave and passionate and ferocious at times because of her background and the stigma she has faced. Ultimately, we left this unsaid in the edit, trusting the audience could add that context themselves. Context is the key thing here though, this is where the dates are relevant. The film was shot in the second half of 2015 and edited at the very start of 2016. We knew the Conservative Party had won the election, hence the final line in the film, and including Lorna having a cheeky pop at them felt relevant and contextual. However, post-Brexit, post-Trump, a casual aside about the Tory party feels almost whimsical and that’s what has me questioning whether we could have done more. In a world that is becoming increasingly divided, with nationalism and right-wing politics being stoked on both sides of the Atlantic, whilst brilliant feature films such as Hidden Figures and Moonlight and documentary 13th have graced the recent award season, perhaps it feels more important to talk about race and gender now than this time last year. “Personally I think the edit is just right because it feels like film about me. I agreed to you making the film because you know me. Plus you took time to look at my practice in many different ways. I like that you didn’t go the obvious route like the form, ticking boxes, ‘senior black woman’ etc. I think even though it would not have been your intention, leaving that clip in might have been perceived as being PC. I think it may of also, for people who don’t know me fitted a stereotype — angry black woman. As you say it’s a film of it’s time. So I love the Tory clip. My work is about social comment so I felt that was very relevant. Thank you for such lovely comments Lorna, and thank you for all your patience throughout the film’s production, it was a joy. Lorna’s favourite spot on the beach at St Leonards, Hastings.